Walk! 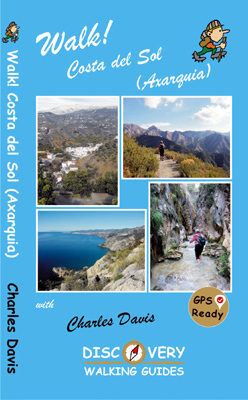 Costa del Sol (Axarquia) Specification & Contents "Download Sample Walk 32 as a pdf file" with corrected timings. If the words Costa del Sol conjure up images of long, featureless beaches occupied by regimented rows of sun loungers while across the road are the Costa del Concrete apartment blocks, then we have an escape for you. 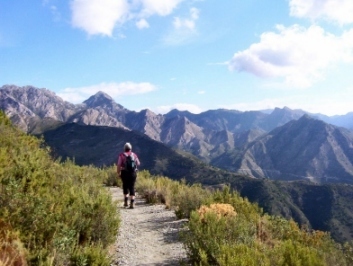 Previously, you would have had a two hour drive to the Alpujarras for our nearest walking destination. Now a short drive inland and you can be in the Axarquia region, ones of Spains wild places preserved from the clutches of property developers. Its a region of historic white villages and towns scattered amongst dramatic hills and mountains, and blessed with a kind climate in which grape vines, mango trees and kiwi fruits thrive alongside ancient olive and almond groves. 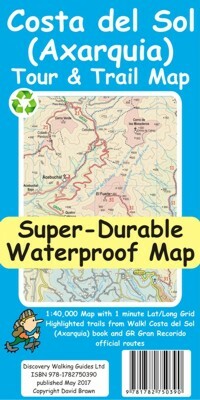 Previously little known even to local residents, and actually unknown to us until Charles suggested the region, there has been very little published in English for the region of Axarquia - until now. 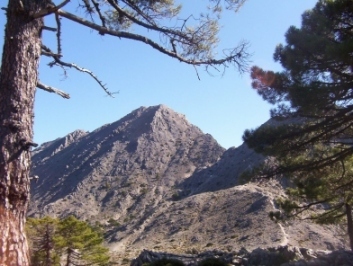 Charles and Jeanettes prodigious capacity for walking research has produced a whole range of routes covering the best walking in the region, including routes in the Parque Natural nature reserves of Sierra de Almijara and Sierra de Tejeda. Walking itineraries have been chosen with hire cars in mind as there is little public transport. Charles Davis skilful writing provides the essential background along with inspirational fully detailed walk descriptions that will take you back to a time when the world was young - only minutes from that Costa del Concrete by car but aeons away in the mind. Not so high energy as Andorra, but a bit more so than Sierra de Aracena; if you are looking for something wild and new, but close to resort civilisation, then Walk! 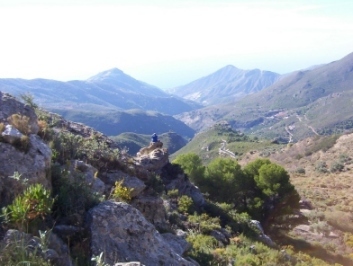 Costa del Sol (Axarquia) could be for you; the most difficult part is saying it and spelling it! "Download Sample Walk 32 as a pdf file" with corrected timings.